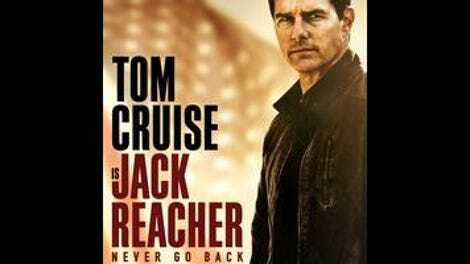 The crummy, cheap-looking Jack Reacher: Never Go Back may have been directed by Edward Zwick and inspired by a series of pulpy novels by Lee Child, but its inane plotting; randomly gratuitous violence; utter sexlessness; questionable grasp of grown-up behavior; and strict insistence on having characters constantly address the indestructible, leather-jacket–wearing hero as “Reacher” or “Major” (to which he very modestly replies, “ex-Major”) suggest that the true author might have been a 7- or 8-year-old boy. This is not the proverbial inner child, but the kid whose fixations have not yet become tastes, clutching onto the processed and predictable: the hot dog- and bologna-based diet, the toy chest full of action figures of the same superhero, the bad action movie. This is the best and worst thing about Jack Reacher: Never Go Back. 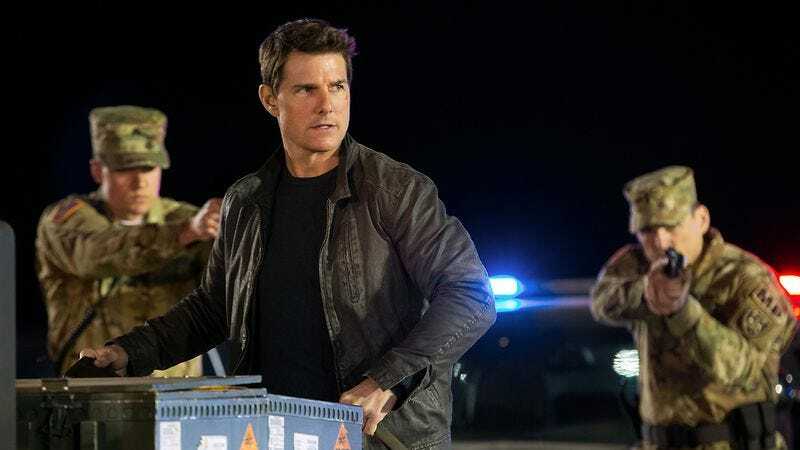 Never Go Back, which is a sequel to Christopher McQuarrie’s completely enjoyable Jack Reacher, is almost parodically generic, starting with its absurd title. The plot involves drug and arms smuggling or something at the hands of one of those military-industrial conspiracies that’s really just the fault of a few bad apples, though Reacher (the name is said approximately 200 times in the film) is also protecting a teenage girl from hit men, and he’s a very wanted fugitive trying to clear his name and the name of a certain Maj. Susan Turner. Reacher and Turner, whose chances of couplehood are doomed by the fact that their names sound like an innuendo-laden vaudeville act, enact a Z-grade representation of screwball romance while on the lam, in that they have no actual romance and don’t have anything funny to say to each other. The dialogue mostly supports the child-author hypothesis; it’s shouty and sometimes syntactically confused (“We need to ditch the car and get into my email!”), with some groan-inducing attempts at corny action-movie humor, like a fugitive-hunting MP barking to a lackey, “I want to know their favorite flavor of ice cream, and I want it yesterday!” or Turner (Cobie Smulders) yelling, “That soldier was under my command!” after Reacher (Tom Cruise) dispatches a military prison guard with a Taser. Again, the lack of polish is actually the most appealing thing about the film, which is otherwise defined by a different type of indifference. It joins the ranks of this year’s London Has Fallen and the collected works of Adam Sandler as an example of the film industry’s ability to make a listless low-budget movie as expensively as possible; it cost around $96 million to make but looks like it was financed for about $2 million by the late Menahem Golan.